Do you have ductal carcinoma in situ (DCIS) or breast cancer that can be removed with surgery? If so, you may be able to choose which type of breast surgery to have. Often, your choice is between breast-sparing surgery (surgery that takes out the cancer and leaves most of the breast) and a mastectomy (surgery that removes the whole breast). Once you are diagnosed, treatment will usually not begin right away. There should be enough time for you to meet with breast cancer surgeons, learn the facts about your surgery choices, and think about what is important to you. Learning all you can will help you make a choice you can feel good about. For more information on surgery please visit the National Cancer Institute site by clicking here. For more information on chemotherapy please visit the National Cancer Institute site by clicking here. For more information on radiation therapy please visit the National Cancer Institute site by clicking here. Precision medicine is an approach to patient care that allows doctors to select treatments that are most likely to help patients based on a genetic understanding of their disease. This may also be called personalized medicine. 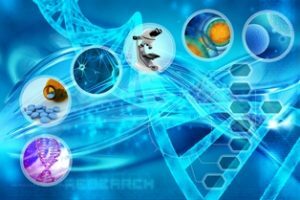 The idea of precision medicine is not new, but recent advances in science and technology have helped speed up the pace of this area of research. Today, when you are diagnosed with cancer, you usually receive the same treatment as others who have same type and stage of cancer. Even so, different people may respond differently, and, until recently, doctors didn’t know why. After decades of research, scientists now understand that patients’ tumors have genetic changes that cause cancer to grow and spread. They have also learned that the changes that occur in one person’s cancer may not occur in others who have the same type of cancer. And, the same cancer-causing changes may be found in different types of cancer. For more information on precision medicine please visit the National Cancer Institute site by clicking here. Targeted therapy is the foundation of precision medicine. It is a type of cancer treatment that targets the changes in cancer cells that help them grow, divide, and spread. As researchers learn more about the cell changes that drive cancer, they are better able to design promising therapies that target these changes or block their effects. For more information on targeted therapy please visit the National Cancer Institute site by clicking here. Immunotherapy is a type of cancer treatment that helps your immune system fight cancer. The immune system helps your body fight infections and other diseases. It is made up of white blood cells and organs and tissues of the lymph system. Immunotherapy is a type of biological therapy. Biological therapy is a type of treatment that uses substances made from living organisms to treat cancer. For more information on immunotherapy please visit the National Cancer Institute site by clicking here. For more information on hormone therapy please visit the National Cancer Institute site by clicking here. Want to know if you should look into a second opinion or Genomic Testing? Looking for information on Integrative treatment?